Windows in aircraft create a weakness to the structure, that is why they are very small. I'm not asking about installing them in the cockpit, which would create safety pitfalls, but could the windows in the rest of the fuselage be replaced by cameras and LCD screens that provide real time images of the outside world that even passengers sitting in the middle of wide bodied aircraft can enjoy? This could even include a sky camera for night travel. 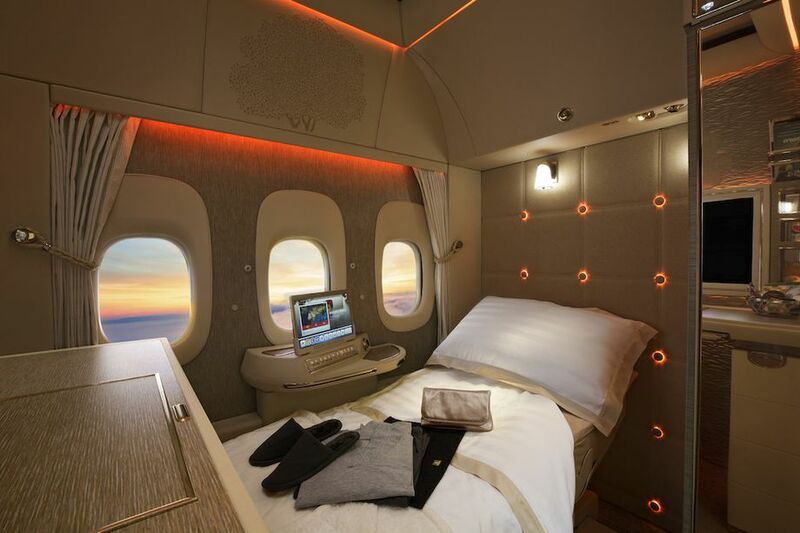 Emirates Airlines have recently launched their new First Class with a similar concept. It is only available in First Class and I doubt it has much to do with the structural implications as of now, but that could change if the idea catches on. The virtual windows are a feature on the otherwise windowless cabin suites along the middle aisle, and project a high-definition view of the outside using real-time cameras mounted on the plane. Note that the windows are a safety feature: You need to see outside in case of emergency, e.g. to know which side of the plane is surrounded by flames, or how deep in the water you are. This is actually the reason why the inner lighting matches the outside conditions for take-off and landing and the window shades have to be open. Even worse, the potential rescuers need to see inside to know the conditions in the plane (flames, smoke, attackers, debris etc. ), so you would need to have some system that reliably works both ways. I don't see how your hypothetical plane would get certified with even more emergency features relying on electricity and on something that's basically an entertainment system. Problem #1: What gets displayed on the screen? While I'm aware of Emirates' recent 'virtual windows,' there is a big problem with this idea in general: what should actually be displayed there depends on the location of the viewer relative to the window! This is not an easy problem to solve - and it's effectively impossible to solve for multiple viewers looking at the same screens. You simply can't make the screen show what different viewers looking at the windows from different angles should see, even if you know the location and orientation of each viewer. The only solution to that is separate screens for each viewer - i.e. VR goggles. I haven't been in Emirates' new suite, so I can't comment on how it feels in their case in particular, but I imagine this would be rather jarring to the viewer, especially in a simulated window like the ones Emirates is trying to use. It would feel like you're looking at a flat image on a screen, not like you're looking out a window - because that's exactly what would be happening. When I move my head in space or turn my head relative to a real window, I can see different things out of that window. In the example of the windows on the side of an airplane, if my head is behind the window, I can see in front of the flight path through the window. If my head is in front of the window and I turn my head to look back at it, I can see behind the flight path. If my head is directly beside the window, I can see the view perpendicular to the flight path. The only way to do this with a screen is to track the location and orientation of my head, as VR headsets do. While VR-style head-tracking would be sufficient for a single viewer, what two different viewers will see - even when looking at the same part of the same window - could be completely different. There is simply no solution to this problem when both viewers are observing the same screen, even if you do head-tracking, as the image displayed on the screen would need to be different for each viewer. Problem #2: How much does all of this gear cost (in both purchase and maintenance,) how much does it weigh, and how much power does it use? In order to properly implement this idea (assuming you want to see the real environment of the aircraft on the screens and not just something made-up or recorded,) you'll need to install both a lot of screens on the interior and a lot of cameras on the exterior, as well as computer systems to process the camera input and display it to the users in real-time (and even more complicated computer equipment if you want to actually do head-tracking and get the displayed image right.) This will also likely involve a substantial amount of software, especially in the head-tracking case. All of this adds up to a large development cost and also a decent manufacturing cost. All of these systems will also need to be maintained, with parts being replaced periodically, whereas a piece of glass in the side of the fuselage requires relatively little maintenance, the parts cost is relatively small, and the development cost isn't huge. Furthermore, the biggest actual problem with real windows is the weakening of the structure that you mentioned and, thus, the added weight to strengthen the fuselage. This turns out actually not to be all that much extra weight, since the fuselage is designed such that the windows are placed between the ribs that bear most of the load. So, there's a very real chance that all of the screens, cameras, and associated computers will actually end up weighing more than what the structure with real windows would have otherwise weighed, negating any fuel savings. Furthermore, while windows require little-to-no power input, the same is not true for cameras, screens, and computers. This requires even more fuel burn for the power generation. So the screen/camera system probably isn't much, if any, more efficient than the normal windows. Overall, I would guess the TCO is more. It turns out that windows are actually quite important safety devices - and not just the ones on the flight deck. In the event of an emergency - either in the air or on the ground - the people inside the aircraft need to be able to look at what's outside the fuselage. Whether it be observing structural damage to the aircraft after something like an uncontained engine failure or looking for smoke, fire, leaking fuel, or other hazards outside the fuselage prior to initiating an evacuation, the ability to see outside is safety critical. After a crash or ditching - say, something like Asiana 214 or U.S. Air 1549, there will not be anything generating enough power to run all of those cameras, screens, and computers and there's a significant chance that they'll be damaged beyond usability anyway. Now how are you going to see where the water line is on the aircraft or the burning engine or leaking fuel on one side in order to know which doors are safe to use for evacuation? After an uncontained engine failure that blows holes in a bunch of things that ought not have holes in them - such as on Qantas 32 - it helps to be able to send a flight crew member to the back and actually look at the damage to see what the current state of the aircraft is. This is especially true when the computers are giving the flight crew a confusing and seemingly-endless stream of error messages due to all of the damaged systems.  This allows the crew to plan the most safe way to get the aircraft back on the ground given the current state of the aircraft as quickly as possible. Perhaps this would still be possible with the screens and cameras in this scenario, but there's also a good chance the failure would have damaged these systems such that they wouldn't be useable. You can still more or less guarantee that you'll be able to see out of a normal window. Not the answer you're looking for? Browse other questions tagged aircraft-design fuselage windows cabin-design or ask your own question. Can a commercial cargo aircraft be converted into a commercial passenger aircraft, and vice versa? Can heated air be provided in the cabin in commercial airlines? How did the B707 and DC-8 fight stress at the windows? Are the cockpit and crew rest area considered part of the cabin? Can the airplane cabin pressure control be eliminated? Could airliners have cameras to let the pilots see the engines and wings?